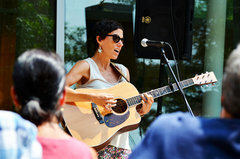 The Erie Art Museum announces the summer music lineup for its ninth season of Mid-Day Art Break. 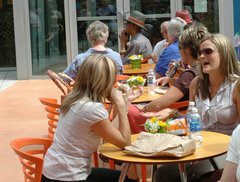 The lunchtime concert series takes place every Wednesday from 12:00 p.m. to 1:00 p.m., June through August. 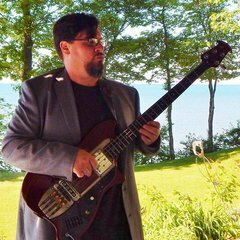 The free event features live music by local musicians, many of whom have performed at the Museum’s Blues & Jazz Festival, on the Museum’s 5th Street patio, and curated gallery tours at 12:30 and 1:00 p.m. The Museum will once again host the Erie Philharmonic’s popular “Get Your Phil at Noon” on three Wednesdays during this popular summer concert series. Some brand new acts, such as the Presque Isle Saxophone Quartet, will join familiar, returning favorites for the season. The Museum’s Wave Café will be serving a variety of sandwiches, wraps, and salads, as well as beer and wine, or visitors can bring their own lunch and enjoy it on the patio. 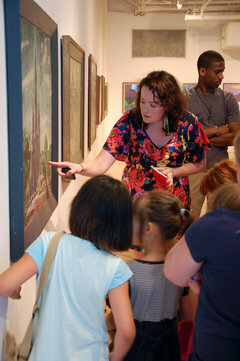 The Museum’s galleries are open free to the public every Wednesday from 11:00 a.m. to 5:00 p.m.
Mid-Day Art Break is sponsored by Connoisseur Media, UPMC Health Plan, Erie Insurance, Redeemer Presbyterian Church of Erie and JET-24 / Fox 66 / YourErie.com. Refugee performers from around the world. This is always a great and popular series put on by The Erie Art Museum. Come out and support Erie's great talent and enjoy a nice change of pace in the middle of a busy work day!